Decide your budget. – Take an honest look at your monthly income and expenses to help you decide how much money you can afford to spend. Put that number down, and be disciplined about sticking to it. Research specific makes and models. – While it’s important to stay within budget, make sure you also do your research to ensure you’re getting a vehicle with solid reliability ratings and strong consumer reviews. Buy from a trusted dealership. – When you buy a used car at a dealership, you can reference customer reviews, take a test drive, secure monthly auto financing, and even get a vehicle history report. Private sellers are, of course, not set up to offer these kinds of products and services. 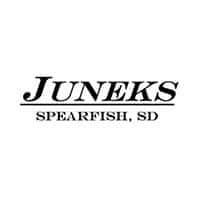 Buy Your Next Used Car in Spearfish from Juneks CJDR! At Juneks CJDR, we have an impressive inventory of both affordable used vehicles—including the competition-busting used Ram 1500—and new Chrysler, Jeep, Dodge, and Ram models for sale. See why we’re a trusted used car dealer in Spearfish, and contact our staff at (844) 458-3858 to find out more about our used inventory and financing options!